I had the chance to shop for an amp when my previous band was playing texas blue (among others) style in small gigs. After comparing dozens of different models, across audio qualities, features and prices, below is what i recommend. Fender Blue Jr is my recommended amp for texas blues player. It gets you close to the tones and is also pretty affordable. To add more crunch to its clean tone, adding pedals will help. The Blue Jr is also portable and makes for a good amp for small gigs. For a more detailed review, check out my other article on Blackstar Artist 15 vs Fender Blue Jr. Besides what I recommended above, here are other brands and models that are good candidates. However, understand that each brand has a particular favor to it due to the way they are made. This is why it is easier to put an amp that is already famous for producing a certain tonal style as other competing brands just do not have the same favor or recipe in their makeup. Fender super reverb: Carries the classic Fender clean tones but will cost you more than what a blues jr can do. Being a Fender brand, it naturally gets you to the SRV tone that many texas blues player also prefer. Victory 40 Deluxe: The strength of this amp is that it can deliver clean tones like a Fender but is able to achieve some crunch without too much increase in volume. The trick is to use the Volume dial for breakup control and the Master for volume control. The only downside is that it is pretty heavy at 27kg and the price tag is pretty high at $1.6k. Egnater Tweaker: Another afford amp whose claim to fame is its changeable tonal experience with its “personality switches”. With this, it easy to select a tone that matches the playing of your texas blues. Another good thing is that at low gains, the preamp drives do its work and you can hear beautiful tones even at a low volume. At this price, I don’t think there is another amp that offers this much flexibility. Type of tones: Some texas blue player prefer to play clean while others might want it to be a bit dirty. 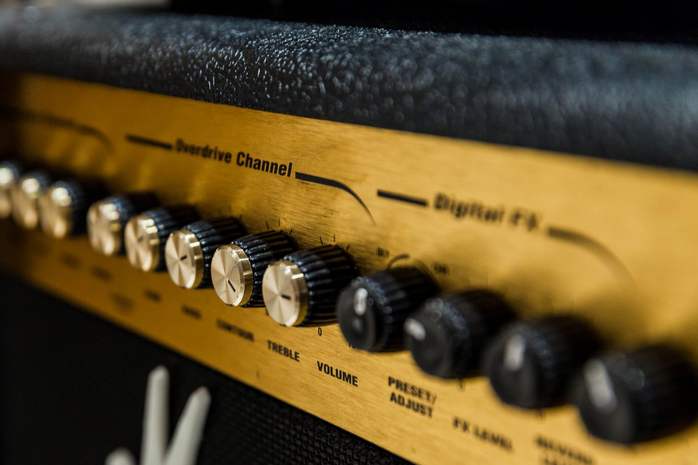 Depending on your preference, certain models of amp can provide more suitable tonal experience. However, I would generally advise folks to get an amp with clean tone instead of a dirty one. You can use pedals to change from clean to dirty but difficult to do the opposite. Clarity at low volume: If you are playing at small venues, you probably will not be upping the volume to crazy levels. Hence, you want something can produce beautiful and smooth tones even at moderate volume. Besides a suitable amp, you should definitely consider other parts of the set up to help you hit the texas blue tone. To get the texas blue tone, the strings and the tube screamer plays important parts, beyond the amp. Pedals and pickups can help but I have seen players able to mimic the texas blue tone with weak pickups and sometimes no pedals. String: I recommend using fat strings in the 13’s range. Thinner strings cannot produce that level of SRV tone. Tube screamer: This pedal is an essential part of getting that tone. What you want is a model that get boost the mid range part of the song. Once you have it, tune the gain setting to zero and output volume to high. I recommend the Ibanez tube screamer because this is what Stevie Ray Vaughan used to get his famous SRV tone. The reason is we are not using the pedal to distort the sound. We are using it to boost the mid range part of the audio which is why the volume needs to be high. That ‘thicken’ range will get you close to the texas blue tone. Pickups: Pickups need to be fairly low to produce that texas blue tone and The Seymour Duncan Antiquity Texas Hot pickups can do this. It is however pretty pricey. For a cheaper alternative, you can try the Fender Pure Vintage ’59 pickups. The main difference is that the former produces sounds that traditionally comes from vintage coils. Beyond having the right equipment, your playing style and techniques more important if you want to have the texas blue tone. Rake the strings to produce more intensive notes. This goes hand in hand with the recommended fat strings earlier. However, getting the strings under control when you are raking up and and down will be the challenge, not to mention the painful fingers! Understand the different types of licks. This article gives a few good examples of the kind of concepts and techniques you can learn to improve your Texas Blue playing. I agree that your playing style is the most important to produce a particular tone like texas blues. That being said, certain gear set up can get you closer to the style due to the way it is made. With regards to texas blue, the best setup in my mind is a Fender amp, matched with fat strings, a tube screamer and a Texas pickup. With the Fender amp family, the Blues Jr is an affordable value for money amp that I recommend wholeheartedly.